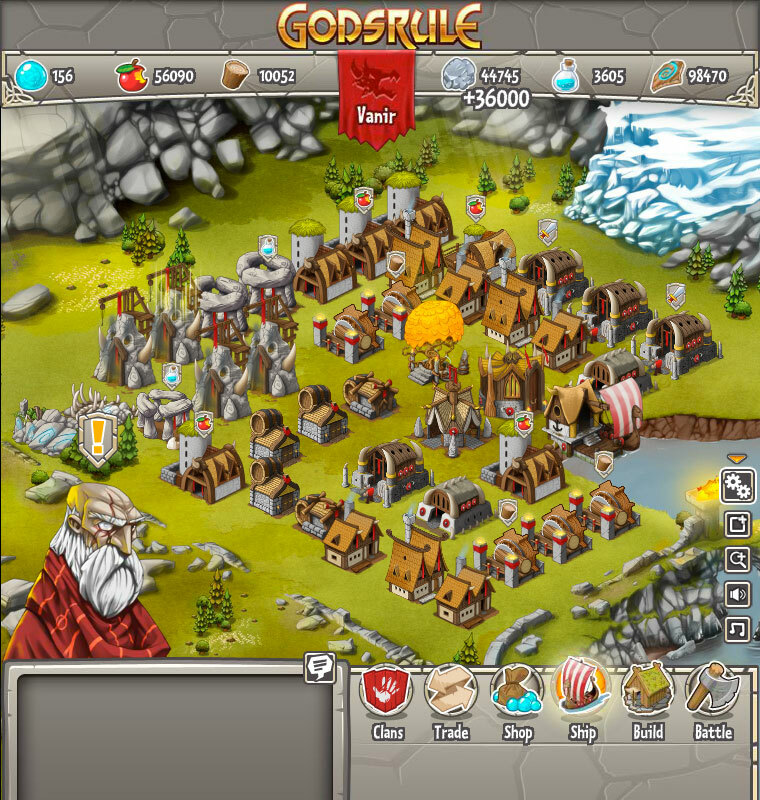 GodsRule is a free to play 2D cross-platform (browser and iPad) MMORTS by Gogogic GodsRule is set in a vibrant 2D fantasy world where players can control armies in live battles with up to 4 players at once. In order for players to amass an army capable of great conquest, a player must invest in his territory. He does this by managing his empire which includes tasks such as constructing barracks, clearing trees and rubble, adding additional farms, etc. All of these things allow the player to unlock new units to build and the ability to continue expanding their armies size. Unfortunately, the game does require players to wait fairly long time for each unit and structure to build with some items taking up to 15+ minutes to complete. During this process the player is somewhat restricted on what things they can continue building. For example you cannot clear two sets of trees for more land at the same time. 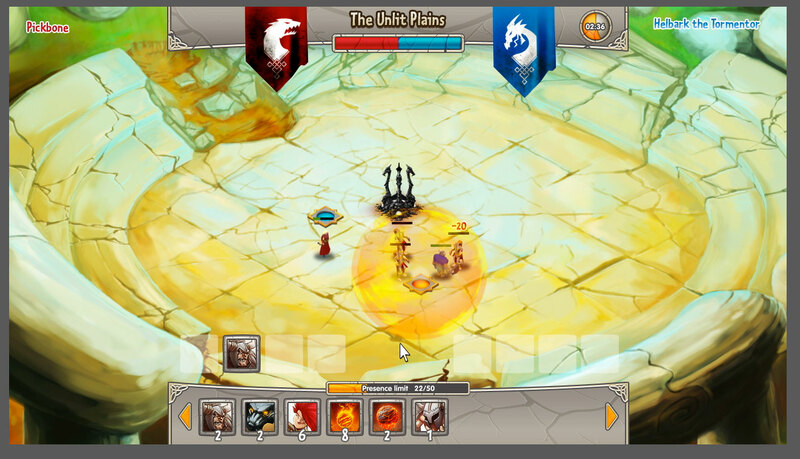 GodsRule combat consists of large battle arenas with summoning platforms. 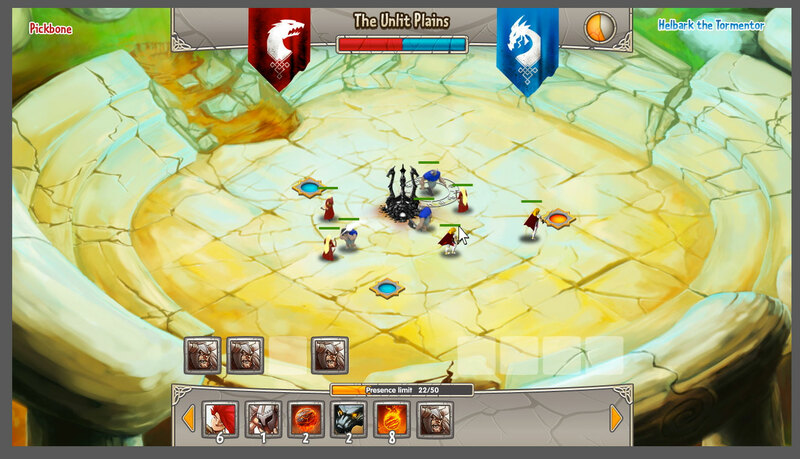 A player summons each unit in their army individually and directs them across the battlefield towards the enemies. The combat is fairly simple but does allow for army customization based on what units and spells you choose to bring to battle. SEGA and Gogogic regret to announce that as of August 29th, we will be shutting down the Godsrule servers. We realize this may come as a surprise, and on this sad day we sincerely thank all the players who have supported and followed us along the way. Both SEGA and Gogogic have put a lot of time into crafting the best experience for you that we could, but unfortunately not every game can meet expectations and we have to make difficult decisions like this one. Effective immediately, in-game purchases and new registrations are disabled. You can still log in should you like to bid adieu to your villages and your friends, or engage in final battles across the Midrealms. During these final days, SEGA will be playing along with you to help say farewell. 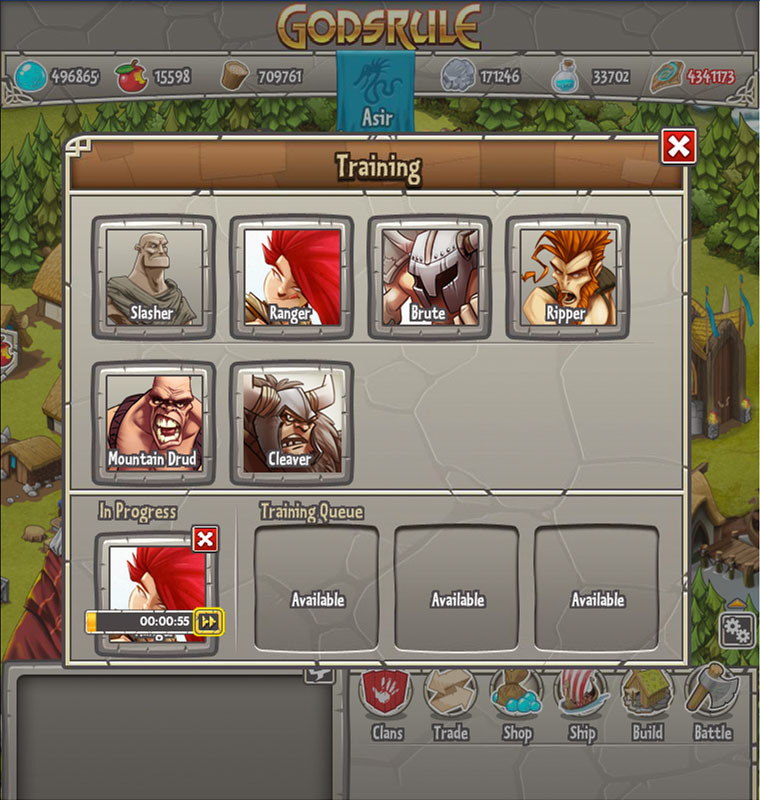 Thank you for your time and feedback throughout all of Godsrule. All games should be a journey and an experience, and while this one is now coming to a close, we want to thank you for being a part of this experience with us. I have played this game since it’s start in Closed Beta. I find it addicting, well themed, and over all a great place to kills some time while building your village and joining a clan to play as a team. There are many games like this, but the Battling islands are unlike any PvP game I have seen. I recommend joining for the fun, but be careful, you will stay for the competition and camaraderie. I have been playing it for months now, in closed beta, then open and now. I have to say it’s fun fun fun. I am not a fan of games that are all about spending time and you only have to click to advance. This game has more, you need a degree of skills. Of course you can save time by spending some bucks, like I did… but you can also spend more time and get to my level. There use to be balancing issues in the fights, they seem to be gone now. But, it’s an ever evolving game, so I do not worry about small things. Overall great, plenty of more potential, I will play it for some time at least. I’ve played for over 20 hours and feel as though I can provide insight of this game. At first it seems relatively fair and the style is great but if you remove the curtain you can see a few balance issues. Later on many players will spam heavy infantry (which takes 1 or more hours to produce per unit and a plethora of resources). This causes many non-spending players a lot of strife as one golem unit can easily take out 4 regular soldiers and a player can use just as many heavy infantry units as a person that doesn’t have them. It’s very easy to create an army of only strong units and wipe the floor with your enemies, I know because I’ve done it. I spent $20 and never lost a single match for two days straight because while my enemies relied on regular low-tier units I spammed high level spells and heavy infantry causing many players to forfeit. Overall the game had potential but is very unbalanced.